Fiber Laser Marking Engraving System Series MT-F30 is the same Series of 20W Fiber Laser Marking Machine System. Only the watts difference. 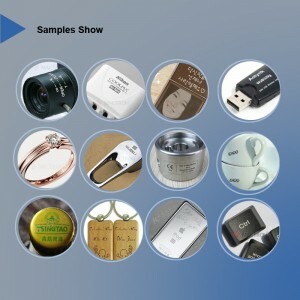 Let’s take a look at a video of laser marking on data cable wire by the Mactron fiber laser marking system. There are also several kinds of body appearances/shapes for choices. The Laser Marking System offers excellent laser beam quality with the newest technology and adopts the high-quality fiber laser generator ( Chinese and Germany Optional), high-speed galvo system to enable stable laser output and high-quality laser mode. 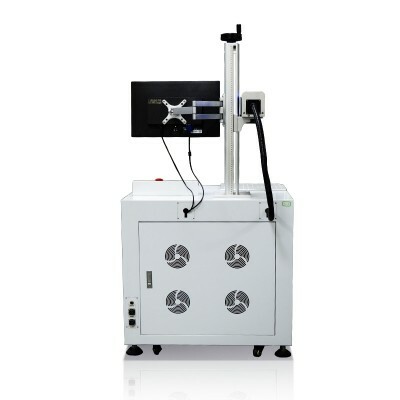 The Fiber Laser Marking Engraving Machine System delivers superior performance and reliability, and provides an industrial marking solution for product identification and traceability, and boasts about its fast marking speed, good marking effect, and high efficiency to meet the demand of mass production. 1). 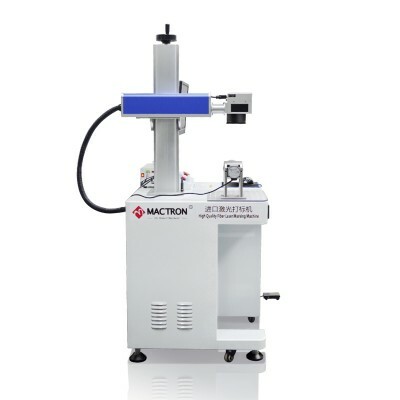 One-unit structure with the manual focusing system and user-friendly operation. 2). Imported isolator for protection of fiber laser generator. 3). Laser beam quality is much better than the traditional laser marking machine. 4). High electricity-laser exchange ratio, gross electricity consumption is less than 500W. 5). Free from maintenance, long working life, small size, suitable for any working environment. 6). Fast marking speed, 2-3 times faster than the traditional marking machine. 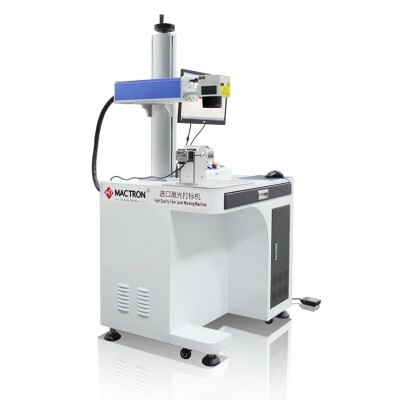 If you are interested in this fiber laser marking system, please send email to us to sales@mactron-tech.com, sales@co2-lasers.com, or leave a message on our website for more details. 1. The whole fiber laser marking system‘s warranty is 1 year. Any parts have a quality problem during the warranty period, We will send you a new replacement for free. And Customer affords the replacement shipping cost. 2. The training video, detailed manual, and catalog sent with the machine. The customer could study the operation of the machine by watching the clear training video. And the use of laser marking system will be very easy. The Fiber Laser Marking Engraving Machine System is suitable for all kind of metal, industrial plastic, electroplates, metal-coated materials, rubbers, ceramics and so on. 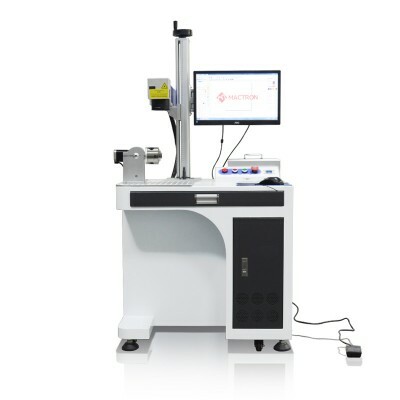 This Fiber Laser Marking System is widely used in mobile button, plastic transparent button, electronic parts, IC, tools, communication products, bathing products, tool accessories, glasses and watches, jewelry, button decoration for boxes and bags, cookers, stainless steel products and so on.